We speak to the record shop owner bringing music to the people of Paisley. So may we introduce to you… Mr Gav Simpson. I’m probably best known for taking over the famous Apollo Music/Record Factory that’s been on Causeyside Street for a quarter of a century. It is now called, Feel The Groove. 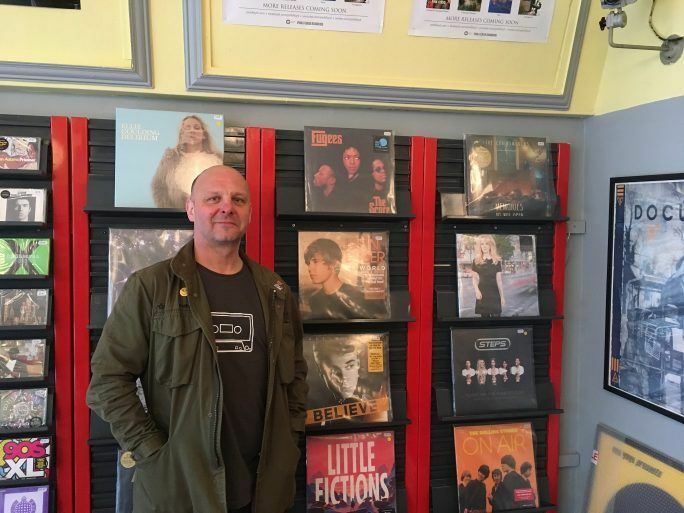 The idea behind taking over the fixtures and fittings of the brilliant record store previously ran by the well-known Mike Dillon is to create a community shop where the people of Paisley, Renfrewshire and beyond can come in, hang out, talk about music, enjoy live performances and of course, buy old and new records. We’re creating a new record store in mould of the old, which we hope is boosting Paisley’s cultural identity. Outwith Feel The Groove, I have predominantly worked in the Music Industry and in the past 15 years, education, where I tutor and pass on my industry experience. I can’t help but stay busy. I work with bands plus music and arts festivals, namely Party in the Palace, which is now in its fifth year. We always make sure Paisley is represented at Party in the Palace by giving local bands a platform to play. I’m also originally from Johnstone, grew up in Paisley and set to return to Scotland’s biggest town this year. Paisley has so much to offer – it has great architecture, a great feel and a real buzz at the moment. It is definitely enjoying an increase of vibrancy and popularity. 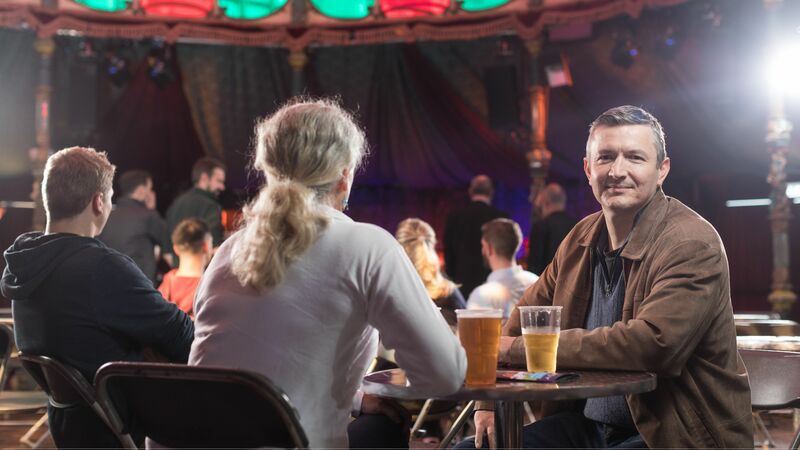 There’s lots of excellent cafes popping up, excellent venues like The Cave where you can see a band in the afternoon and The Bungalow for live music at night. The cultural and historical offering of Paisley and Renfrewshire is second-to-none. Take a walk up from Gauze Street to High Street and you’ll find the majestic Paisley Abbey, The Secret Collection, Paisley Museum and Coats Observatory. It is more than a town centre. Who are some of your favourite Paisley artists and bands – old and new? I’m a big fan of Paolo Nutini and have known of him for a long time. 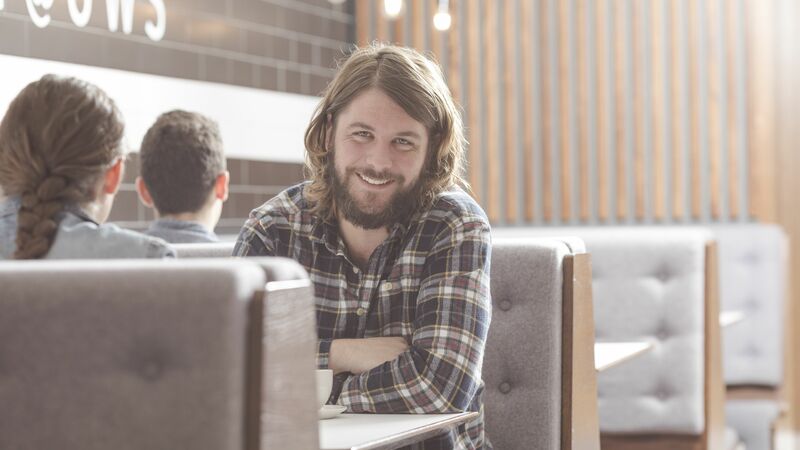 He was picked up by a music industry friend early on – I’ve watched his career blossom to create the brilliant musician and singer/songwriter that we see today. Paolo is a supporter of Feel the Groove; he’s a good guy. There’s a plethora of great bands out there at the moment. We always try to help them wherever and whenever we can; be it by giving them a gig in the shop, stocking their record or highlighting their download link. Fantastic bands and artists like The Vegan Leather, Dogtooth, Lisa Kowalski and Lemon Haze – there’s tonnes out there. Come into the shop and we can chat more about music. We’ve seen an increase in vinyl popularity over the past few years – why do you think that is? We love our streaming services, I do too, but it’s all in the ether. I feel that we want something that is tangible, something we can hold and something that represents our personality. The artwork you get with vinyl is a find in itself! I’ve seen people proudly share album and single covers on social media right after they buy them. Vinyls in their very nature are limited. We don’t have as many pressing plants as we once had, therefore people are snapping up vinyl when they can. If collectors, music lovers and regular listeners want to treasure music, they tend to buy vinyl records. We recently had a customer who bought The Stone Roses back catalogue and will never take them out the wrapper. Do you have any advice for the people of Paisley and Renfrewshire who want to get involved in music and the record industry? Paisley has a lot of resources in terms of support in the cultural sectors. You’ve got Loud n Proud and the Rock & Pop School on Paisley High Street with Tommy McGrory and the team. They are great in terms of tutoring and advice, and always happy to chat, so just pop in. The same goes with Alan McEwan at Brick Lane Studios. Go up, talk to these people and tell them what you want to do – you will receive great insights. Pop into Feel The Groove too! Myself and the team, who have either graduated or are studying Commercial Music course at UWS, are more than happy to help. If there’s a download coming out, we’ll give you advice on how to promote it cost free; we can give you tips on how to put on a gig or let you play in store; are you an artist that wants to get noticed? We can help with that too. From the minute we opened the shop, we saw it not only a ground for selling records but to help people musically. If someone was to visit Paisley, where would you recommend they go? You can have a fantastic day out in Paisley! I recommend viewing the magnificent Thomas Coats Memorial Church before you visit the cosmic Coats Observatory – both are amazing buildings and the observatory is such an interesting place. Go for a walk about Paisley Abbey or the Oakshaw Trinity Church to learn about the ‘glasses and handkerchief’. Go to The Bull Inn for a drink – a quintessential Paisley pub with great people and bar staff. 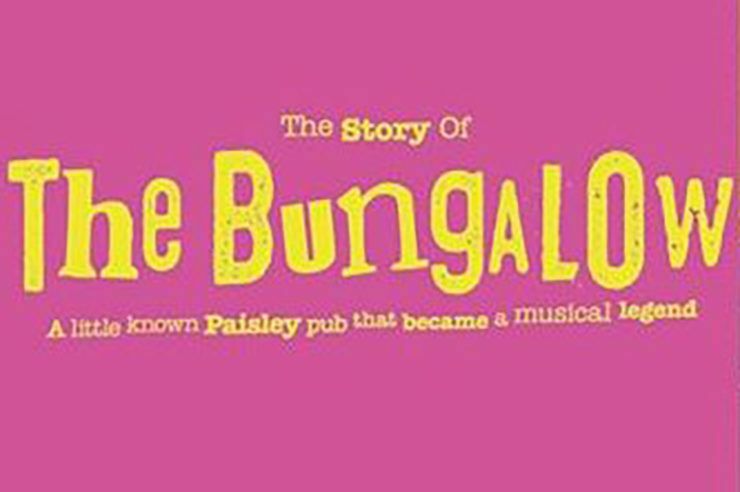 Or go to Paisley’s music venues like The Bungalow and The Cave, where recently I stumbled across a great covers band. There’s always something going on. You have so many great walking and cycling routes right on the edge of Paisley. The other morning, I headed for Gleniffer Braes, which is a beautiful place to go if you have a few hours to spare – it’s a real gem and wonderful discovery. I never tire of the amazing views from the top of the ‘Braes’ and walking by the Brandy Burn/Gleniffer Water. It was a beautiful, crisp morning – just me, beautiful scenery, my dog and headphones. Paisley is the best ice-cream. Paisley is the greatest fish and chips. Paisley is the nicest pint in the friendliest environment. Paisley is beautiful churches. Paisley is culture. Paisley is your favourite Buddie. Keep up-to-date with all things Feel The Groove, click on the link below.